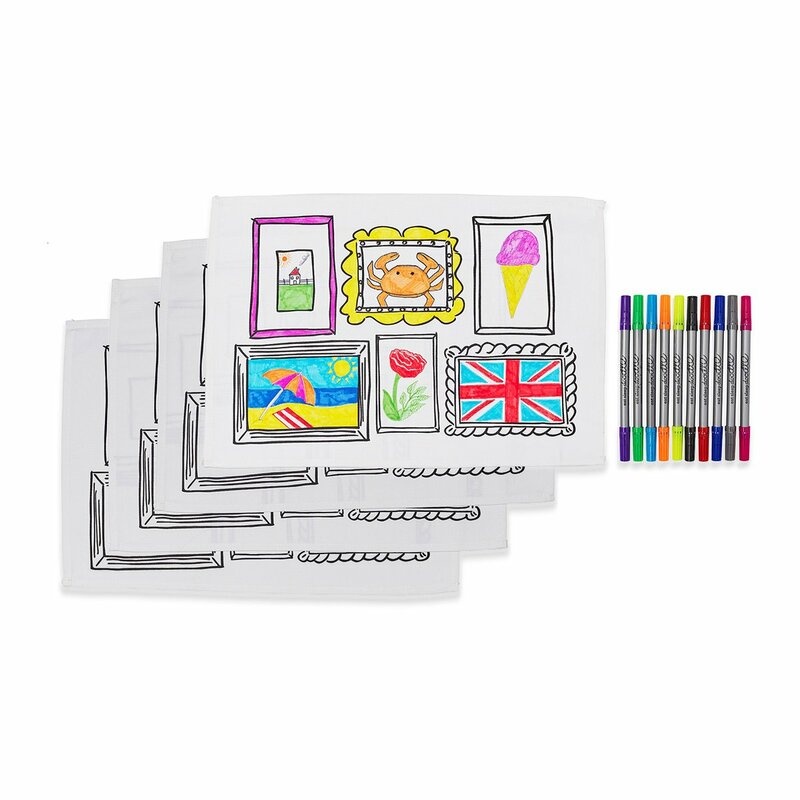 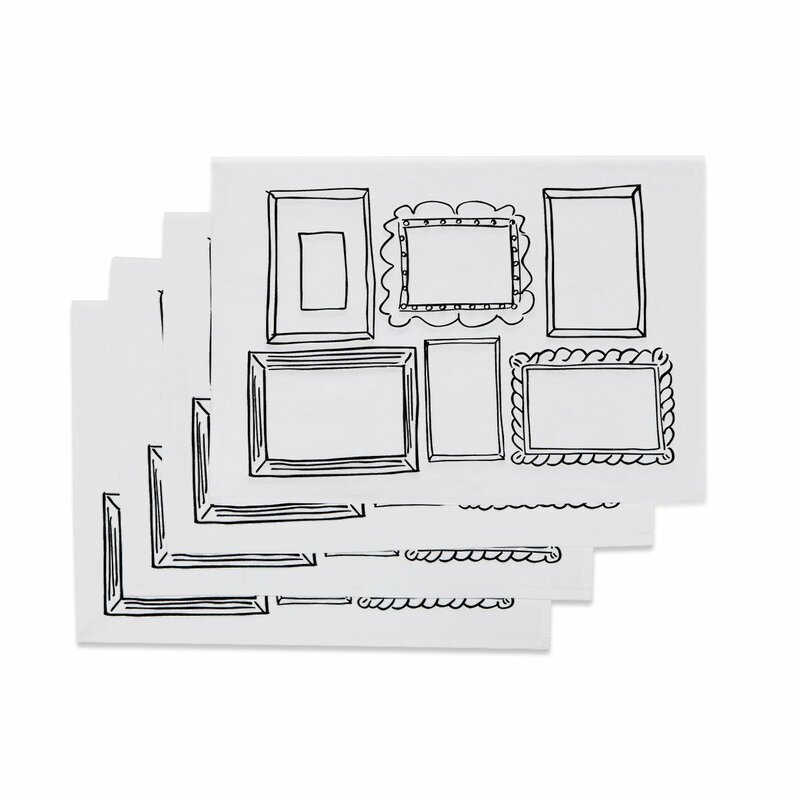 This fun set of 4 placemats includes a set of 10 markers. 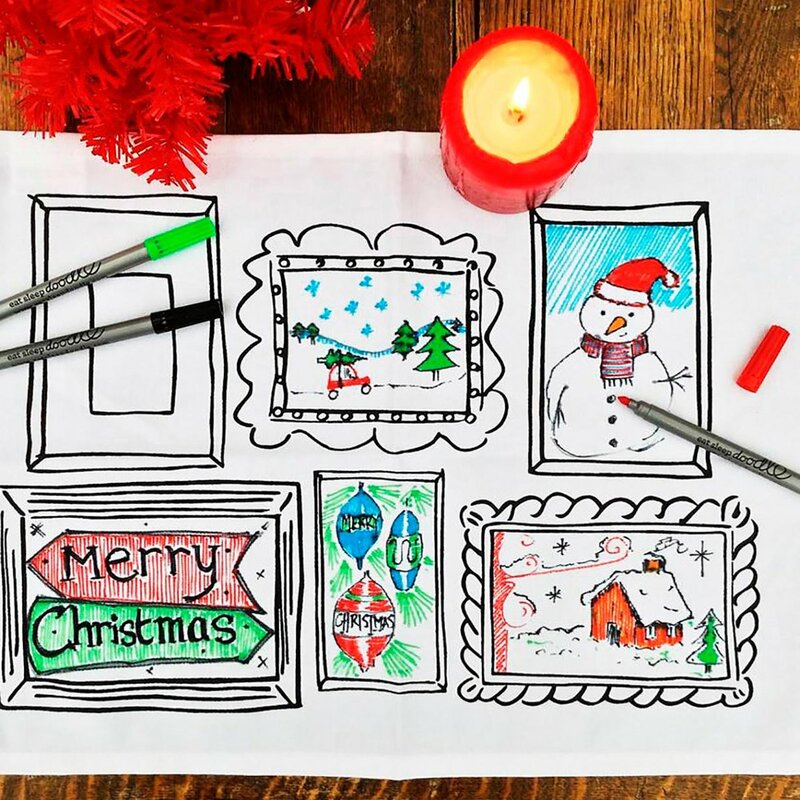 Colour and draw your placemats and when you're done, wash them at 40° to make them white. 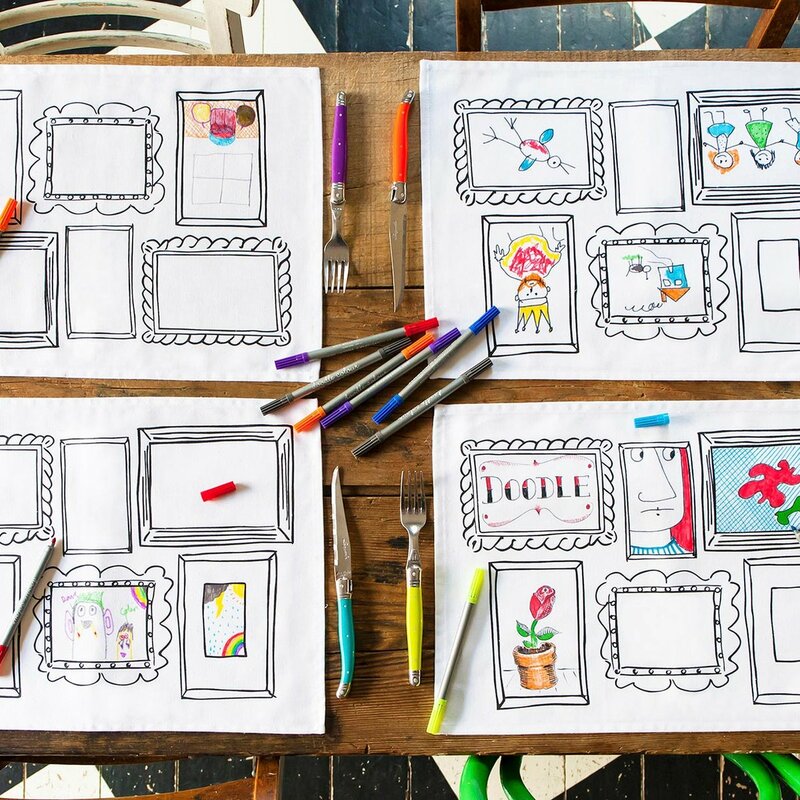 It's a fun activity for parties and birthdays! 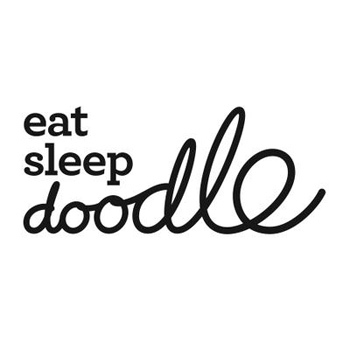 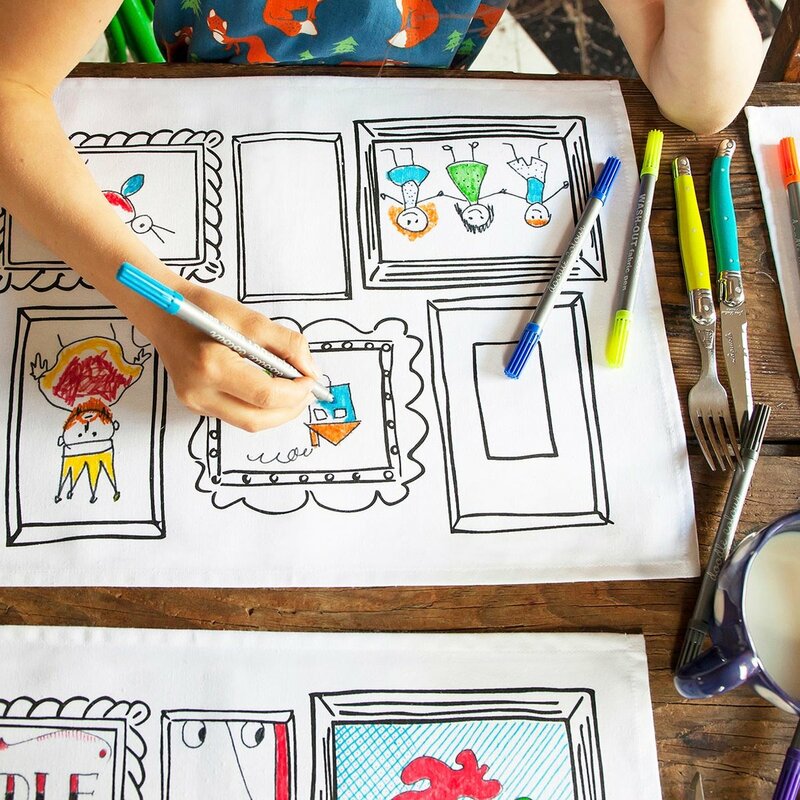 Children's imagination knows no bounds and sometimes a sheet of paper is not enough for their drawings: this is why Eastsleepdoodle has created a rich line of children's textiles to color, such as placemats, pillows and bed sheets. 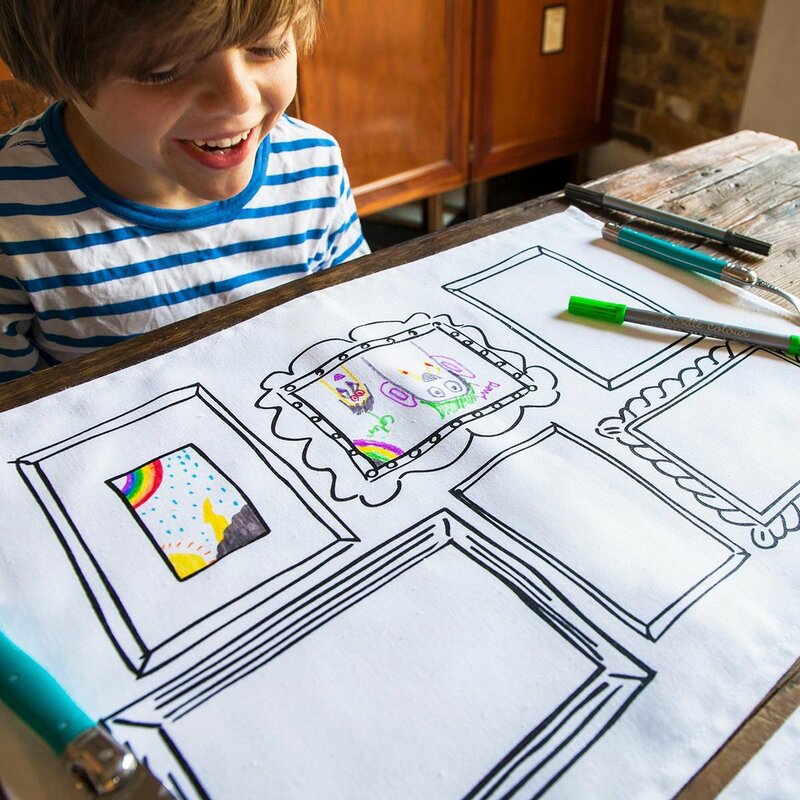 All products are easily machine washable, so your little artists can work on their next masterpiece whenever they want!